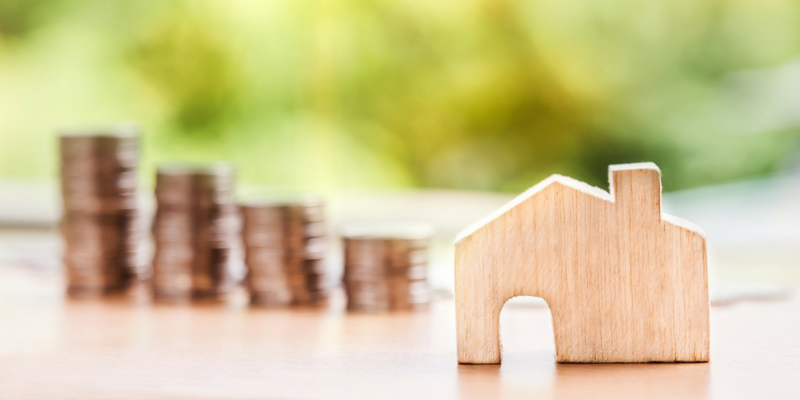 Different Types of Loans for Homes: A Quick Guide | Del Toro Loan Servicing Inc.
Homeownership is a huge life step that ushers in expanding families and big changes. Unfortunately, most people don’t have hundreds of thousands of dollars to purchase a home out of pocket. That’s where home loans, or mortgages, come in, providing a convenient and effective tool that gives you the capital you need to purchase the home of your dreams. You can find a wide range of mortgages on the market, which is good in that it gives you plenty of options to choose from, but it can also be intimidating and downright confusing. Let’s take a closer look at some common home loans. A conventional loan comprises any loan available through a bank, credit union, mortgage company, or other non-government sponsored entity. Conventional loans have a reputation of being safe and have become the most common loan type because of that. Conventional mortgages comprise about two-thirds of all homeowner loans issued in the United States. Conventional loan terms are usually 15, 20, or 30 years with interest rates that tend to be higher than loans from government sponsored entities. Interest depends on a wide range of factors, including the length and amount of the loan and the current climate of the housing market. Conventional lenders set their interest rates based on projected inflation. Your own financial history and creditworthiness also factor into determining your interest rate. Proof of income – This can include two years of tax returns, a month of pay stubs, a quarterly statement of all asset accounts, or two years of W-2 statements. Borrowers also need to provide information about bonuses, alimony, and other sources of additional income. Assets – Potential borrowers need to provide investment account statements and bank statements to show that they can make the down payment and closing costs. Employment verification – Lenders will generally only provide capital to borrowers who have a steady work history. Along with checking pay stubs, your lender may call your employer to verify your salary and work history. Borrowers who are self-employed will need to provide even more information regarding their business and income. General identification – Lenders will also require a copy of your driver’s license, your social security number, and a signature to grant permission for a credit report. Conventional loans are usually reserved for those who already have solid financial footing. Ideally, you should have a credit score of at least 680 (though 700 is preferable) and have a debt-to-income ratio of 36 percent. You should also be able to pay at least 20 percent of your home’s purchase price as a down payment, on top of origination fees, appraisal fees, and mortgage insurance. Conventional loans can be further broken down into two sub-categories. Conforming loans adhere to the guidelines set by the Federal National Mortgage Association (FNMA or Fannie Mae) and the Federal Home Loan Mortgage Corporation (FHLMC or Freddie Mac), which are the two government-sponsored entities that provide money to the U.S. housing market. The main guideline involves the maximum limit of the loan amount, which changes year to year and is determined by the location of the property. Conforming loans are equal or less than this limit. Non-conforming loans, sometimes called jumbo loans, are for borrowers who don’t meet the requirements for conforming loans because the amount they need is higher than the conforming limit. Non-conforming loans tend to be less attractive to lenders as they are harder to sell and pose a higher risk, so they often come with higher rates, fees, and insurance requirements. FHA loans bring the possibility of homeownership to those who may have a hard time getting approved for a conventional loan. An FHA loan is a mortgage that is guaranteed by the U.S. Federal Housing Administration. That doesn’t mean that the FHA actually provides the money for the loan. The capital still comes from a bank, credit union, or other private lender, but the FHA provides backing. That means that if you can’t pay your loan or otherwise default, the FHA pays the lender instead. That makes the situation much safer for lenders, and most lenders are willing to make substantial mortgage loans they may otherwise not approve because of that guarantee. In order to fund that potential default, the FHA charges you a fee known as a mortgage insurance premium. Borrowers generally have to pay two types of MIPs. Borrowers pay an upfront MIP of about 1.75 percent of the total loan amount. Borrowers also pay an ongoing monthly fee that ranges from 0.45 to 1.05 percent of the loan amount. FHA loans are generally much easier to qualify for than conventional loans. Income – There are no income limits. You just need enough income to demonstrate that you can repay the loan, but most FHA loans are geared toward low to middle income borrowers. Credit score – You are also actually more likely to get approved if you have a lower credit score, though this will usually lead to higher down payments. A credit score of 580 will usually result in a down payment as low as 3.5 percent, while a credit score of 500 may result in a down payment of 10 percent. Even if you don’t have a credit score yet, the lending company may still approve you by looking at rental payments and other records of your payment history. Debt to income ratio – Your debt to income ratio is a comparison of how much you make versus how much you have to spend on debt and bills in a given month. You need relatively reasonable DTI ratios, though some lenders may approve DTI ratios close to 50 percent. Even if you don’t qualify, it’s always worth a shot to speak to an FHA-approved lender. Even if you don’t meet certain criteria, like a bad credit history, most lenders have compensating factors to help you qualify. On the down side, FHA loans may not provide as much funding as you need. Upfront and ongoing mortgage insurance premiums can end up costing more than payments for a conventional loan. While FHA loans are good for people with low credit, credit scores below 500 can have trouble getting approval. Primary circle – This consists of your immediate friends and family. These are people you know, trust, and see on a semi-regular basis, which makes it easy to get in front of them and ask for money. Unfortunately, the primary circle tends to offer the least amount of capital, and if your friends and family aren’t aware of the risks, your relationship can potentially go south. Secondary circle – These are the friends of your family and friends. You may not know them, but you have a mutual contact, allowing for easy introductions. However, you’ll have to work a little harder, which means more networking and preparing an investment plan. Third-party circle – These are people you don’t know, usually accredited investors and hard money lenders. 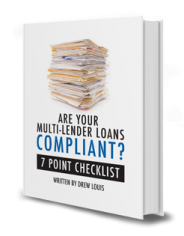 It takes longer to turn third-party lenders into capital partners, but it pays off. Third-party lenders are where you’ll get most of your capital if you go the route of private loans. Third-party lenders tend to also be the most reliable and have more standardized terms in place. As you can imagine, the processes and requirements involved with a private loan can vary from lender to lender. Friends and family members may be happy to provide you with money as long as you present a clear proposal for turning profit. With private lending companies, the process is closer to a conventional loan and requires proof of identity, a note or deed of trust, and detailed plans for how you spend the loan and the profits you expect to generate. Many private lending companies will also ask for your credit history and a credit score. A low credit score does not immediately disqualify you, but it may affect your interest rate and your down payment. These simplified requirements are a big benefit to private loans. A bad credit score, recent bankruptcy, and other indications of your creditworthiness aren’t as important as the profitability of the investment. This also ultimately means faster processes. Where conventional loans may take up to 45 days to reach approval, money from private loans can be disbursed within one week. Private loans tend to have short repayment periods. Banks often allow mortgages to be paid off over the course of 30 years. Private lenders may require you to pay back your loan within six to twelve months. However, that might be fine considering the interest rates involved with private loans. The main disadvantage to private loans is the cost. On average, interest rates for a private loan are around 15 percent, though it’s not uncommon to see interest rates as high as 20 percent. On top of those costs are mortgage points and any upfront fees. Hard money loans tend to be the most common type of private loan, especially when it comes to property. With hard money loans, the property itself is put up as collateral. That means that, should you fail to make payments or default on your loan, the lender can take possession of the property and sell it to make up for your payments. Banks and other conventional lenders will not even offer hard money loans due to the inherent risks involved. Hard money loans also tend to have higher interest rates and lower loan-to-value ratios. Hard money loans are mainly used by fix-and-flip investors who plan to purchase, fix up, and sell a home, all within about one year. The quick approval makes it ideal when borrowers are trying to bid on a hot property, and the quick turnaround means they can pay it off well within the set terms. Del Toro Loan Services offers a team of professionals who have the tools and knowledge to provide tailored services for your specific needs. If you have questions or want to learn more about how we can help you, please contact us today.